Bollywood actor Tiger Shroff has been finalised for Indian remake of Hollywood actioner "Rambo", which starred action icon Sylvester Stallone.The actor is excited to get on board, but says he can never replace Stallone.The remake will be directed by Siddharth Anand and co-produced by M! Capital Ventures, Original Entertainment, Impact Films and Siddharth Anand Pictures, reports hollywoodreporter.com.The buzz around the remake is huge in India. Actors like Hrithik Roshan and Sidharth Malhotra were in consideration for the role, but nothing was materialised.Tiger said: "Being a martial artist and a huge action movie buff since childhood, this all seems very surreal, and I'm very grateful for this opportunity. By no means do I believe I can replace the legendary Sylvester Stallone; however, I do feel that somehow this is something I've been preparing for since childhood. "Principal photography for the film is slated to start in February next year, with a release targeted for late 2018. "Rambo" franchise first came to life in 1982 with "First Blood", which minted over $125 million worldwide. It was followed by a number of successful remakes, including the most recent "Rambo" in 2008, which earned $113 million globally, the report notes. The Indian remake will be given a 'desi' twist.It will follow life of last surviving member of an elite covert unit of the Indian Armed Forces who returns home to discover a war waging in his own land. And how he unleashes mayhem by becoming an unstoppable machine after tough training.Anand, who also directed "Bang Bang!" -- an Indian remake of Tom Cruise's "Knight and Day", said: "'Rambo' is one of the most iconic action blockbuster films from my generation. I grew up looking up to heroes such as Stallone, and in a time where the Indian industry is lacking action characters of Rambo's caliber, this is a perfect time to introduce Tiger in this role. 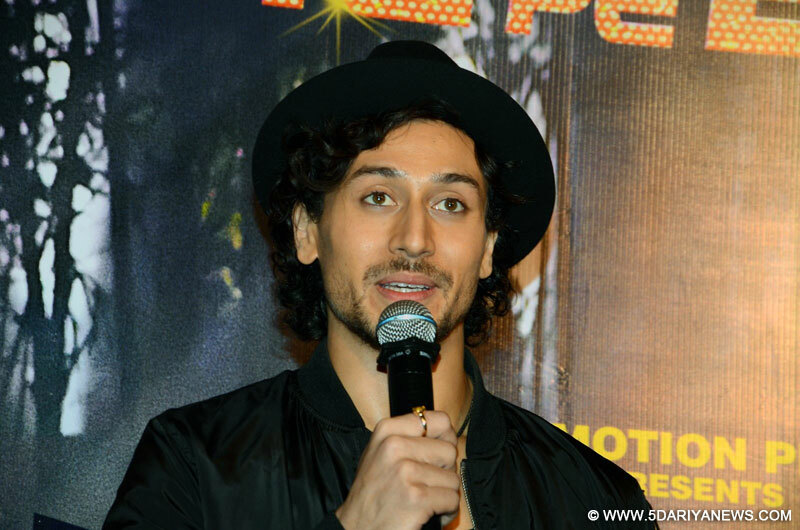 "The director feels Tiger "has a power and vulnerability that will make him the next iconic action hero of our time".Tiger, son of actor Jackie Shroff and a martial arts expert, entered Bollywood in 2014 with "Heropanti", and followed up his act with films like "Baaghi" and "A Flying Jatt". He is also working on projects like "Munna Michael" and "Baaghi 2".